A rodeo clown in Missouri has received a life-time performance ban after donning an Obama mask and asking the crowd if they wanted to see him get run down by a bull. I'm supposed to see racial overtones in the performance, but the sad reality is that I don't; I simply see a bunch of grinches who can't take a joke. Obama is killing people with drones. Where's the contrived outrage over his policy of extermination before trial? to have fed his dark, evil soul. Voltaire once famously said: "To find out who rules you, determine who you are not allowed to criticize." America is turning into a one-shot society -- similar to North Korea -- and soon wrong doing, wrong thinking, or wrong associations will make it such that a mistake by you forces all of your colleagues into sensitivity training. So, now rodeo clowns in America have to undergo sensitivity training so they learn not to hurt the feelings of a our Afro-psychopath-in-chief. T.J. Hawkins rolled out the big inner tube, and the bull lowered his head, shot forward and launched into the tube, sending it bounding down the center of the arena." 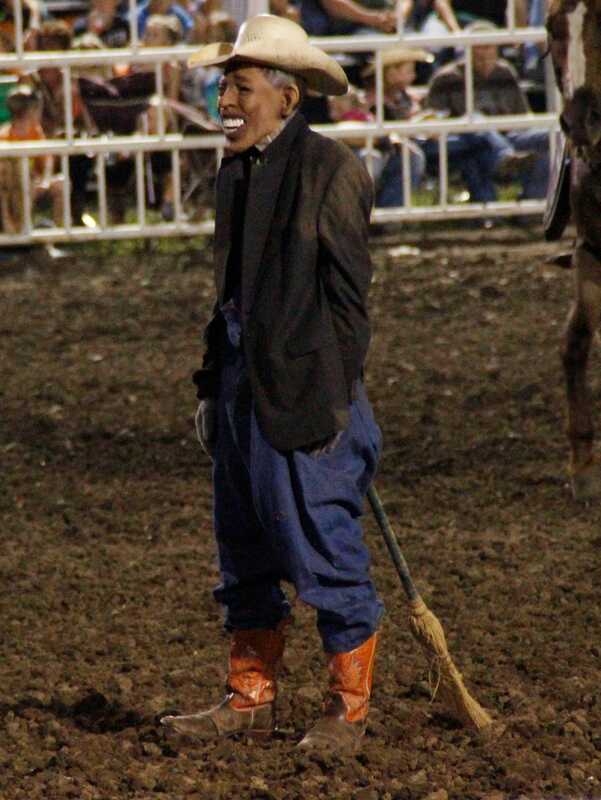 Rodeo clowns have always mocked sitting presidents, and the Missouri rodeo clown in no way made any direct, realistic threats against Obama, nor did he use any offensive words. Simply put, he's just a man who wanted to have some laughs at Obama's expense, and who did so in a way consistent with rodeo traditions. If Obama can't handle a clown mocking him, then he's simply not fit to rule over a democratic society. The real outrage here, however, is that the fair was getting 400 thousand dollars in subsidies from the government. Should the subsidy be taken away? Yes, that's money that could go towards almost half a tomahawk cruise missile, and that's the almost-half that's gonna protect us from the terrorists who are out to implement Sharia law and take away children's laughter.